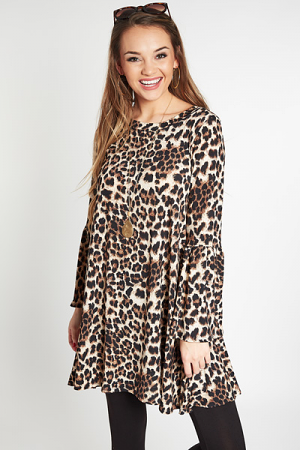 Not only does this simple swing dress have our favorite print EVER, it has the softest and most buttery fabric, too! Must. Have. The easy shape makes it versatile, and ideal for dressing up and down. Pull on fit, material offers plenty of stretch.